ST. PAUL, Minn. (AP) -The NHL playoffs start April 9. In the Northwest Division, it's almost as if they've already begun. Colorado entered the game with the worst road power play in the league at 11.2 percent. The Avs converted only one of six chances, but missed on a crucial advantage with six minutes remaining in the third. Notes: Avs center Peter Forsberg was back in the lineup after missing four games with a groin injury. Courted by the Wild before the trade deadline, Forsberg was booed by Minnesota fans whenever he touched the puck and drew a loud ovation when he was called for a diving penalty in the second period. 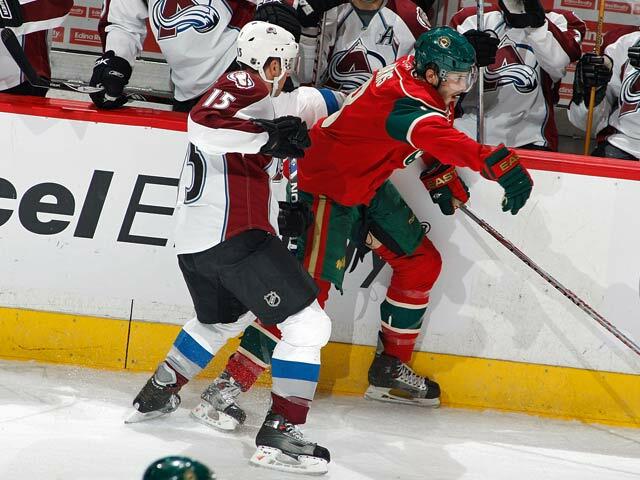 ... Wild forward Derek Boogaard returned to action for the first time since Jan. 22 at Calgary. He missed 23 games with a bulging disc. ... Colorado defenseman Jordan Leopold, who played college hockey at the University of Minnesota, missed his fourth straight games with concussion-like symptoms despite practicing at full speed on Sunday.